Transgression is a Old School Death Metal band from Leverkusen, Germany. 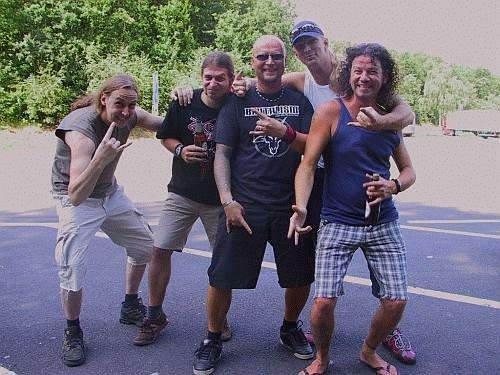 In early 1997 Transgression was founded by Rene Hollweg (g), Dave Steffens (b), Andreas Westphal (v) (who all played together in a Band called Asmodina before), Carsten Koch (g) and Michael Pohl (dr). In this constellation some gigs were played before the band has to split up with singer Andreas through personally disagreements. After a short time drummer Michael left the band for studying in foreign countries. The problem of having no drummer was solved through the recognization of old Asmodina-times as former drummer Arkadius Neumann joined the band. After some times of only rehearsing instrumentally in early 1999 Lars Zimmermann joined the band on the vocals. Since 1999 the line-up has not changed and a six-song-CD was produced by the band. "Guilty Rotten Flesh" is obtainable through the band and some mailorders.